Photographers are natural ambassadors for a project, trend or movement. After all, images can trigger our reactions and actions. Wildlife/travel photographer and International League of Conservation Photographers (iLCP) fellow Jasper Doest is on a mission to entice us to change the way we live on our planet. His images have received multiple awards and have appeared in numerous books and magazines, including National Geographic, BBC Wildlife, and most recently, Smithsonian. For his Smithsonian piece, Jasper conveyed the story that inspired him to create his #challengetochange project. We’ll let him tell it here, along with his moving and evocative imagery. What happened as you followed flocks of white storks in Spain? Many people are familiar with white storks (tall white birds), mainly known from mythical stories that our parents and grandparents used to tell us when they had to explain where babies came from. The fact that so many people were familiar with this species was the main reason for documenting their natural history. After photographing them at their nest, I decided to follow them during their migration to Africa, and when I did so, I stumbled upon thousands of storks that were foraging on landfill sites in Spain. I was shocked. Although the mythological stork was always a euphemism—a fairy tale told to shield us from a messy, complex, biological reality—it was sobering to see this symbol of new life and prosperity foraging on our municipal waste. It was then that I realized that I could make use of the storks’ euphemism in order to show something about our modern human society as we entered the Anthropocene. [Editor’s note: The Anthropocene is a proposed epoch that begins when human activities started to have significant global impact on earth’s geology and ecosystems. See Wikipedia entry]. 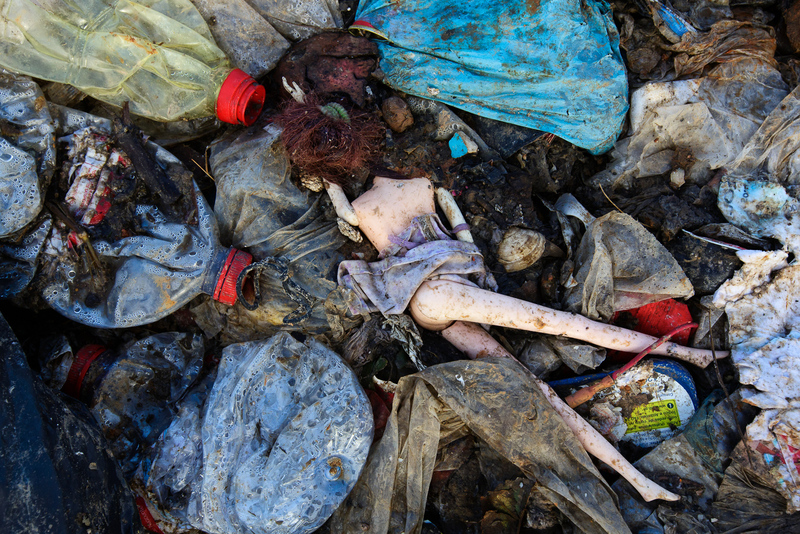 Tell us what it was like to be surrounded by garbage as you worked on your photo shoot. 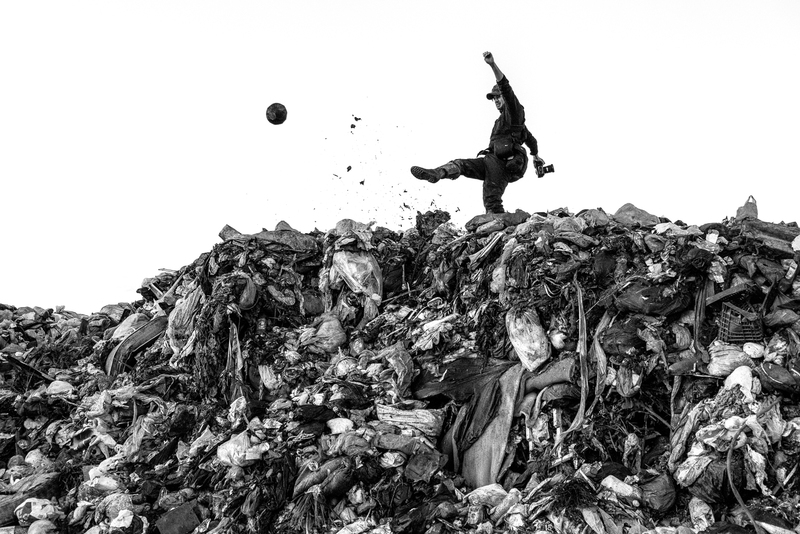 Over the past years I’ve spent many weeks on landfill sites and recycling centers in Southern Europe. 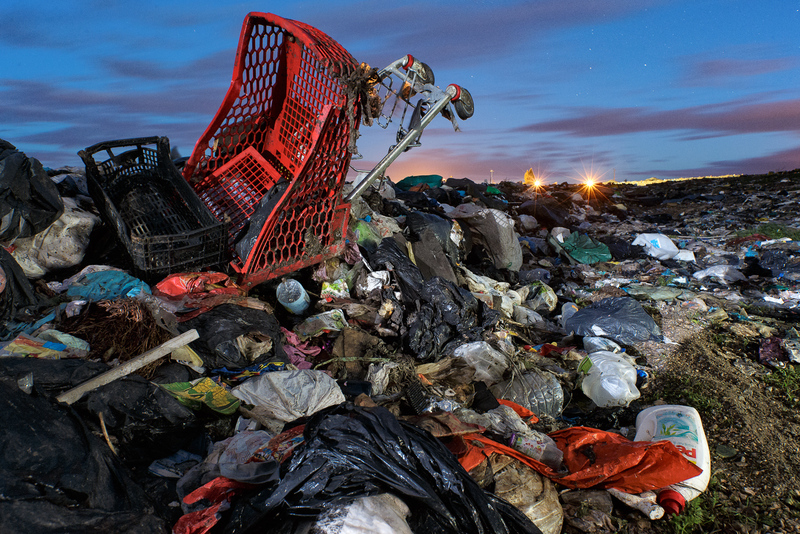 Being confronted with the enormous amounts of waste we produce on a daily basis is truly horrifying. Walking through fields of empty bottles, plastic bags, food leftovers and toys still brings me to tears. I lie awake at night, embarrassed to be part of our consumer society. 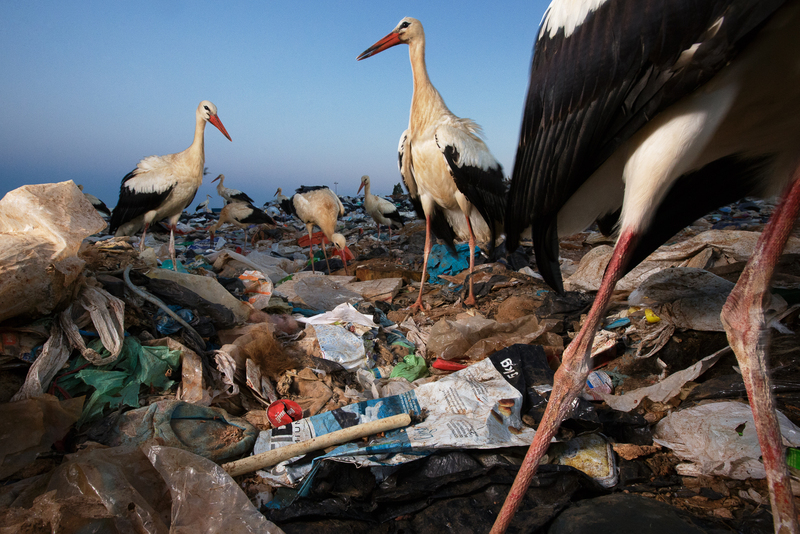 The storks do not sleep at the landfill and only come there during the day to forage. 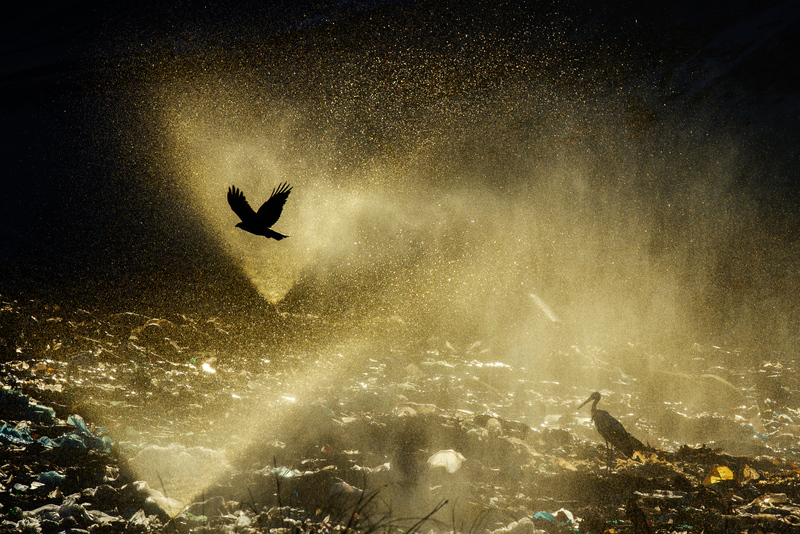 In order to be ready when the storks would arrive, I would arrive at the landfill around 3:30 in the morning. There I would set up two cameras with studio flashes and hook these up to two laptops that I set up in a camouflage tent further down the landfill. 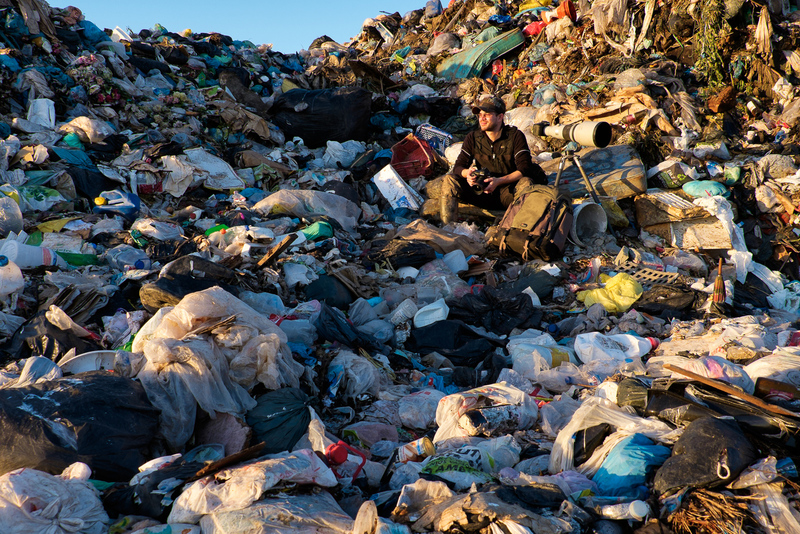 After testing the set-ups, I would sit in my hideout, surrounded by tons of garbage, waiting for the storks to arrive. As the first trucks arrive around the break of dawn, bringing in new garbage. The first storks start to arrive and soon my tent would be surrounded by hundreds of these birds wandering around in search of new food. I would manually control my cameras on the laptop where I would have live-view of the scene; and I was able to balance the natural light with the artificial light in order to deal with the harsh morning sun. Around 10 or 11 in the morning, I would leave the landfill, smelling like garbage, and this routine would repeat itself for several weeks on end. This was by far the most disgusting photo shoot I have ever done; but I have no regrets, as I believe this story had a desperate need to be told. 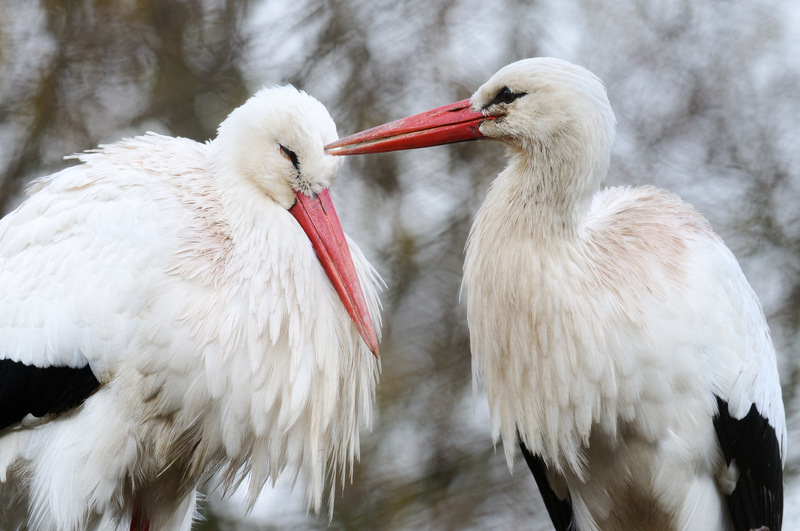 This story is not about storks anymore. It is about us. Look into the mirror and imagine all fables about storks being true. Well…then this is how we treat new life, longevity…our future. How did you come up with your “Challenge to Change” hashtag and what do you hope folks will do, even in a small way, to embrace the idea? These days we receive many photo challenges on social media, where friends and colleagues ask you to post some photographs to inspire others. I didn’t really understand the point. 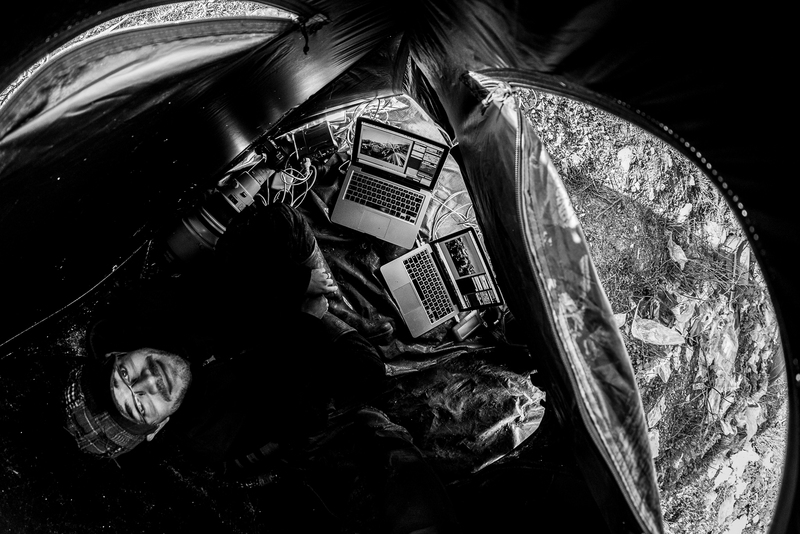 How challenging could it be for a photographer to post photographs on social media? I was already doing that. So I decided to come up with a real challenge. I challenge everyone to look into the mirror and bring some seemingly small changes into your daily life. It should be easy; it has to be an effortless change. Now close your eyes and imagine what all these little changes could do as we all join in. It would have a huge global impact. I called this the ‘Challenge to Change’. Every day we hear about the many problems our planet is facing. Serious issues, and often with a complicated political background. Problems you and I cannot solve all of these issues. But that doesn’t mean there is nothing we can do. All you have to do is make some small changes in your life and be vocal about it. That way we can actually make a big difference. Did you always want to be a photographer? How did you get your start? I guess not. I once had a photography project in primary school where we would make portraits and then process and develop our film and make prints. I remember it was a lot of fun. But when interviewed by a local radio channel to tell about the project, I told them I would rather be a police officer. After high school, I was trained to work as a laboratory assistant and eventually got a degree in ecology. It was during this time that I visited Svalbard, the archipelago between Norway and the North Pole. 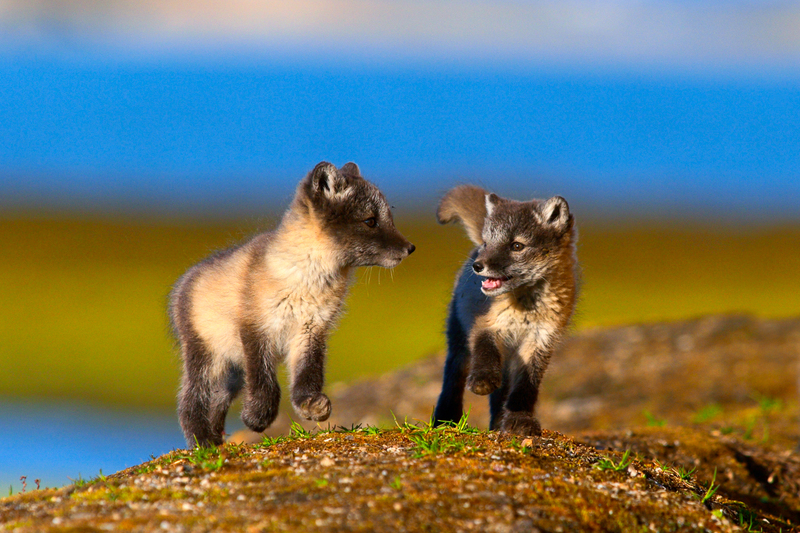 I took some images of arctic foxes during my three months there, and eventually was honored as the overall winner of a national photography competition. This proved to be the jumpstart of my career. Later on, I realized I could tell stories through my photography which would take me years to tell through scientific research…and that’s how I eventually decided to become a full-time photographer. 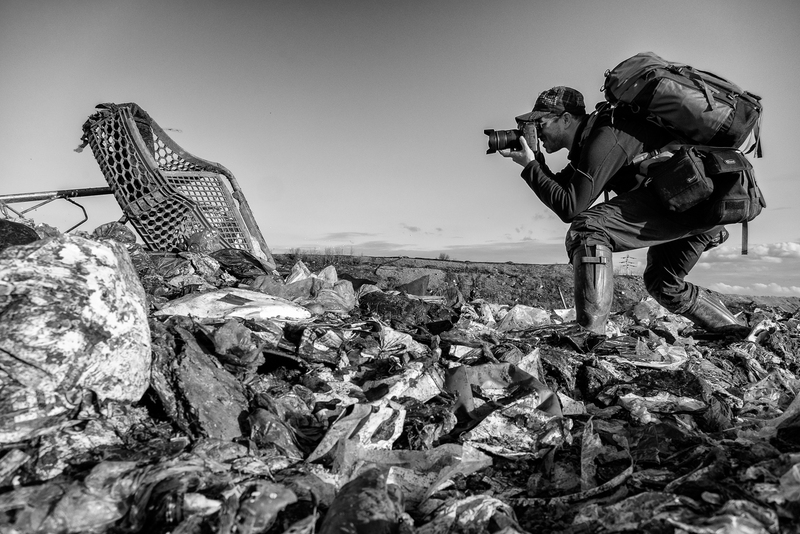 Which Lowepro bags do you carry on assignment? You don’t see me in the field without my Street & Field system. I use the S&F technical belt in combination with the technical vest and several pouches to keep lenses and accessories at hand. I travel with the Pro Trekker 450 AW, Lens Trekker 600 AW II, and Hardside 400–which comes in handy working in rough circumstances. What is a surprising thing we might find in your camera bag? 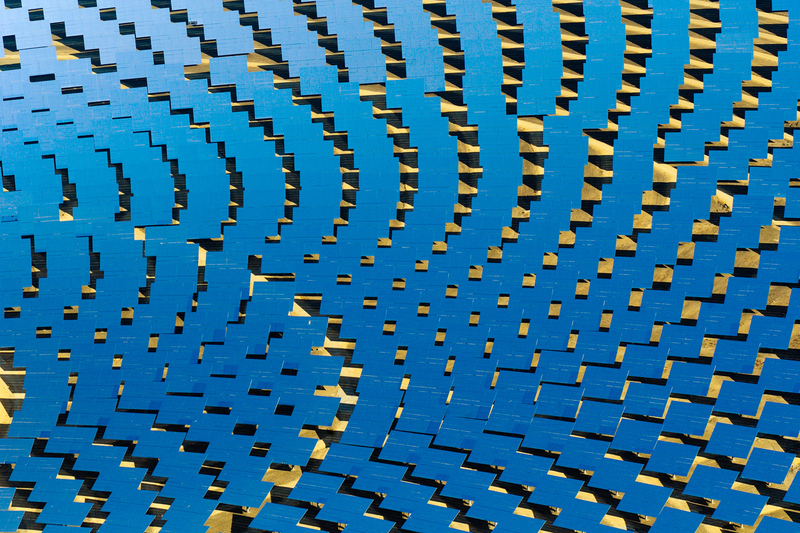 Please share some upcoming trips and projects you have lined up for 2016. I am currently working on a story for Dutch National Geographic magazine about the largest freshwater tidal region in Europe. I’ll be heading to Africa next month for National Geographic Traveller magazine. 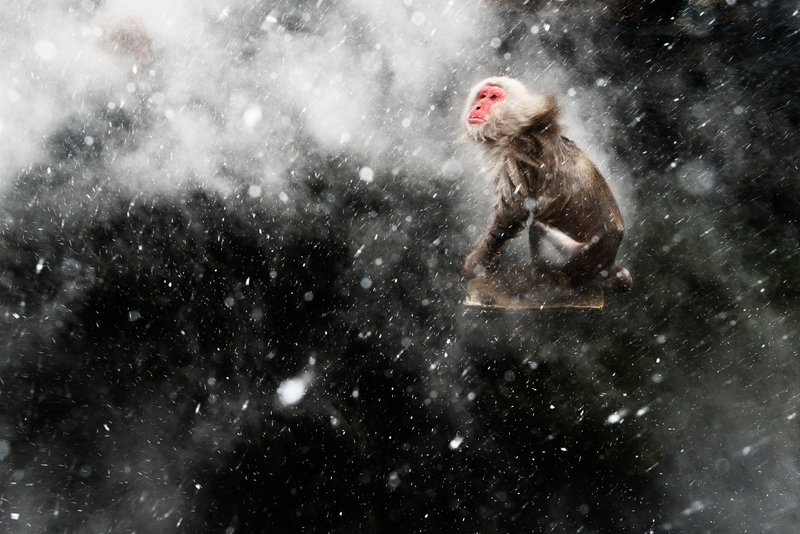 And I just got back from scouting some locations for a future human/wildlife conflict story in Japan. Furthermore, I will continue my ‘Challenge to Change’ and will work on stories/image essays that would add to this body of work. 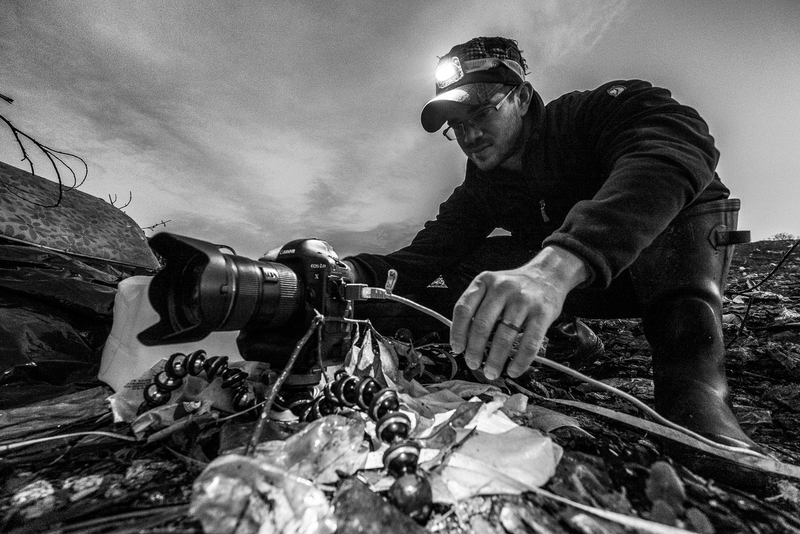 See more of Jasper’s work, keep up with his social posts, and take the #challengetochange. This moment is a great time to start!